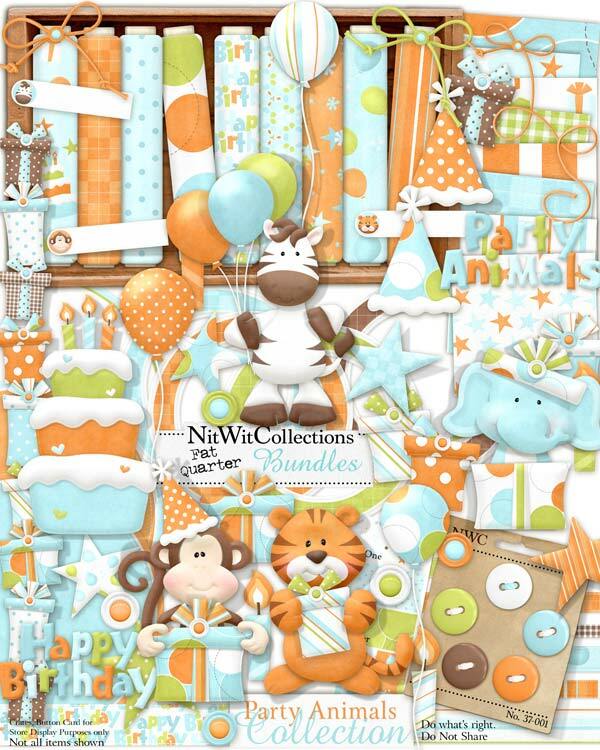 "Party Animals" Collection celebrates the birthdays in our lives! What a time...everyone bringing you gifts, people encouraging you to eat candy and cake, and all of the fanfare do make it the special day that it is. We hope that you can use this Collection to commemorate or contribute to someone's birthday! 5 Buttons - to hold the donkey's tail for the pin it on him game? 1 Cake - make a wish before you blow out the candles! 4 Candles - we didn't want to give away any ages, so use what you think is appropriate! 2 Party Hats - what's a party without a hat? 5 Presents - you're really racking up the gifts, hey? 7 Ribbons - you need these for the gifts, no? 1 Wordart - "Party Animals"
1 Wordart - "Happy Birthday"